It all comes down to one word: value. As in best-boat-for-the-money value. Period. Rinker Express Cruisers and Captiva Sport Boats give you the cutting-edge designs, incredible standard features and superior handling that you want. It's all right there. Right there in one beautiful, well-built, you-just-made-a-smart-decision package. And here's something you may not know...Rinkers are built in America with all the same high-quality building materials as you'll find in other the top brands. All at a fraction of the price. So, what's the catch? That's the good news...there is no catch. That's value. That's Rinker. 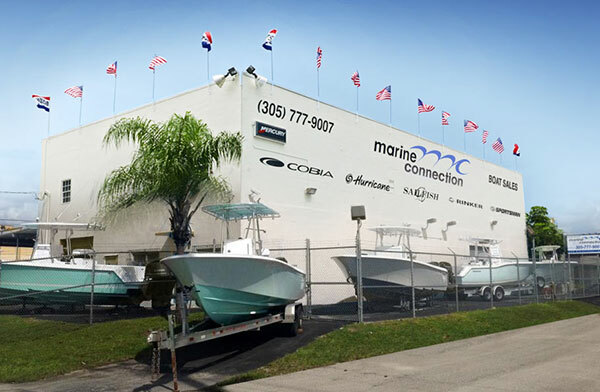 Marine Connection is SOUTH FLORIDA'S EXCLUSIVE RINKER DEALER!